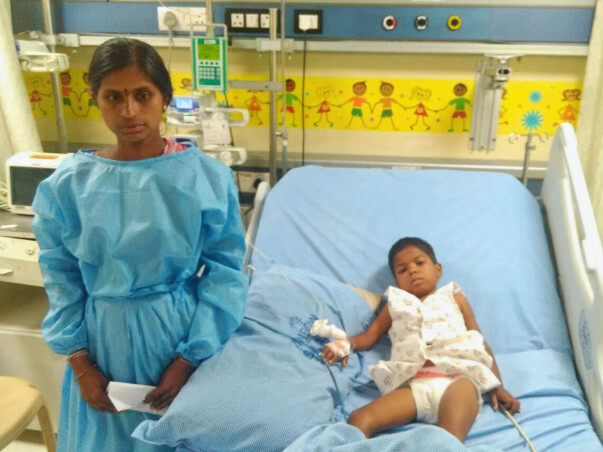 For the last couple of months, 6-year-old Sharanya, daughter of Saritha M has been vomiting blood and when she was taken to the hospital she was diagnosed with a condition called Portal Cavernoma. It is a very critical condition which causes internal bleeding in the stomachs, especially for children. The patient needs to be continuously brought to the hospital for treatment. 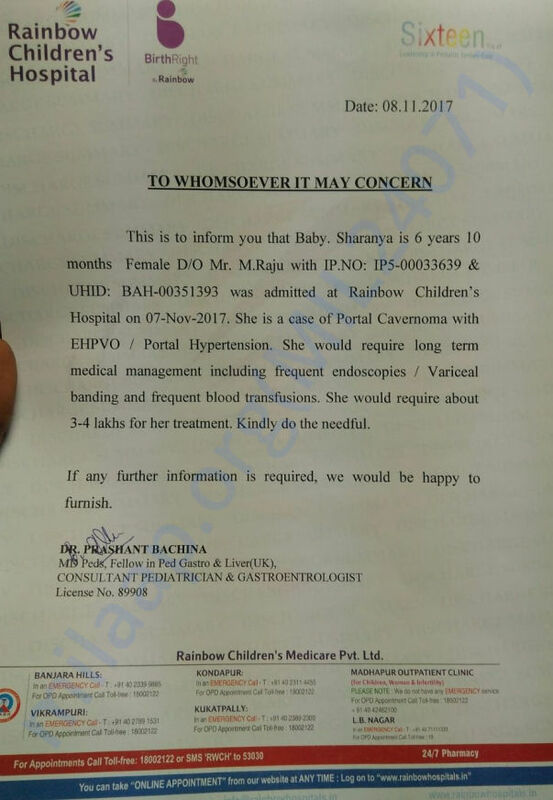 Sharanya has been advised to undergo repeated treatment and blood transfusions and the total cost of this treatment is approximately 4 lakh Rs. 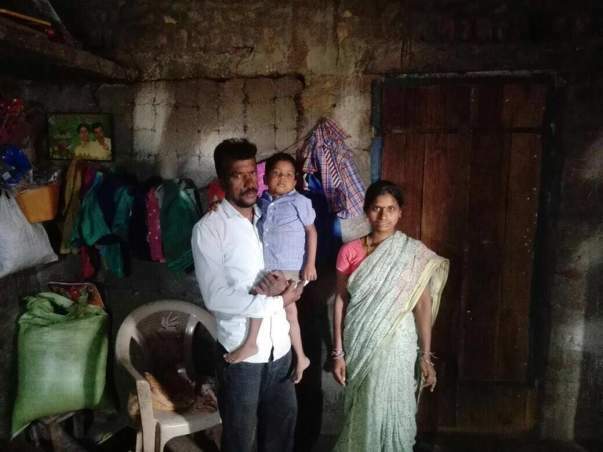 Sharanya's family lives in Pegadapalli, a small village 100 kms from Warangal. Her father Raju is a plumber who travels to the town daily looking for work. When he gets regular work, he earns up to Rs 8,000 in a month. But for the last one year, he hasn't been earning very well. 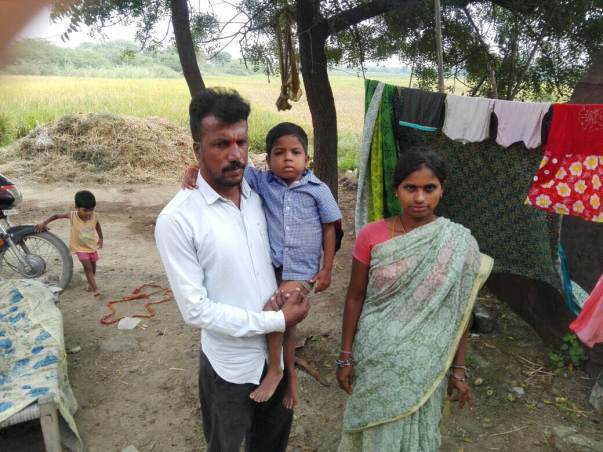 Unfortunately, Sharanya's parents do not have the funds to treat their daughter and are worried that without the money they may lose their daughter. “I don't know what the condition is. All I know is that the blood flow to her stomach is blocked. I also know that the condition is so serious that it can kill her. As it is now, the spark of joy she had as a child is gone. Every time she has a fever or vomits, there is heavy pain in my heart and I am scared we will lose her forever,” explains Raju. 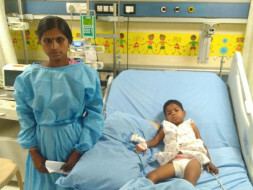 Your contribution can save Sharanya by giving her the treatment she deserves.